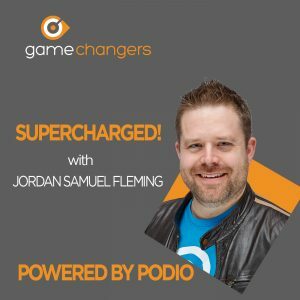 Our CEO Jordan does a weekly podcast focussed on workflow, automation and harnessing the power of Podio. If you’re interested in learning more about Podio, or want to benefit from the experience of partners, integrators and Podio experts around the world, this podcast is for you! Are you a Podio Partner? Do you integrate into Podio? Does your company use Podio on a day-to-day basis? Register here to be a guest on Supercharged! and help promote your business.